The deconstruction bombshell that rocked the Anglophone world. As one of the most important works in critical theory, and especially the philosophy of deconstruction, Jacques Derrida’s Of Grammatology is an essential work for any serious student of literature, writing, or philosophy. Some of the notable benefits to this fortieth anniversary edition from Johns Hopkins University Press include the new afterword and updated translation by the original translator, Gayatri Spivak, as well as the updated references and the excellent introduction by one of contemporary criticism’s most important practitioners, Judith Butler. In her introduction, Butler notes, “there were at least two different ways that the question of whether or not Derrida would be readable in English came to the fore: (1) Could he be read, given the challenges he delivered to conventional protocols of reading?, and (2) Could he be read, given that the English version failed to capture in every detail the key terms and transitions of the original French?” (vii). These are important questions, and the new translation addresses both, as does Butler in her follow-up. 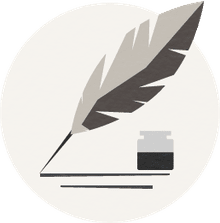 At more than 400 pages, including notes and references, Of Grammatology is a substantial project; however, those who intend to pursue a deep and meaningful study of literature and philosophy will be greatly enriched by the experience. Be sure to read the introduction, the translator’s preface, and the new afterword not simply as an act of “active reading,” but for a deeper appreciation of this masterwork and how it has profoundly influenced Western thought for more than four decades. Jacques Derrida (1930–2004) taught at the École des Hautes Études en Sciences Sociales in Paris and the University of California, Irvine. He was born in Algeria and died in Paris, France. In addition to deconstruction, Derrida is important to post-structuralism and postmodernism. He's known for his theories on Différance, Phallogocentrism, the Metaphysics of Presence, and Free Play. Some of his other important works include Speech and Phenomena (1967) and Writing and Difference (1967), and Margins of Philosophy (1982). Gayatri Chakravorty Spivak is a twentieth-century philospher known for her works in Marxist theory and Deconstruction. She was born in India but now teaches at Columbia University where she founded the Institute for Comparative Literature and Society. in addition to theory and criticism, Spivak has helped to advance studies in feminism and postcolonialism. Some of her works include In Other Worlds: Essays in Cultural Politics (1987) and A Critique of Post-Colonial Reason: Toward a History of the Vanishing Present (1999). Spivak is also known for theories of Strategic Essentialism and The Subaltern. Judith Butler is the Maxine Elliot Professor of Comparative Literature in the Program of Critical Theory at the University of California, Berkeley. She is an American philosopher and gender theorist best known for her groundbreaking work, Gender Trouble (1990), in which she relays her idea of gender performance, a theory now generally accepted in the studies of gender and sexuality, including in academia and beyond. Butler's work has progressed beyond gender studies to influence studies in ethics, feminism, queer theory, political philosophy and literary theory. Jacques Derrida’s revolutionary approach to phenomenology, psychoanalysis, structuralism, linguistics, and the entire European tradition of philosophy—deconstruction—changed the face of criticism. It provoked a questioning of philosophy, literature, and the human sciences that these disciplines would have previously considered improper. 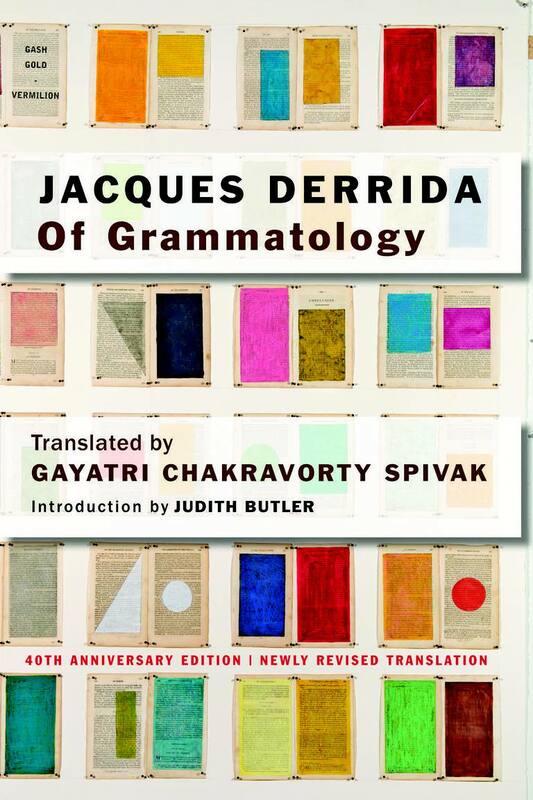 Forty years later, Derrida still ignites controversy, thanks in part to Gayatri Chakravorty Spivak’s careful translation, which attempted to capture the richness and complexity of the original. This anniversary edition, where a mature Spivak retranslates with greater awareness of Derrida’s legacy, also includes a new afterword by her which supplements her influential original preface. One of contemporary criticism’s most indispensable works, Of Grammatology is made even more accessible and usable by this new release. As the New York Review of Books writes, "we should be grateful to have this distinguished book in our hands. Very lucid and extremely useful."